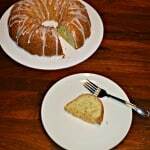 Let’s talk about Meyer Lemons. Have you ever had them before? I’ve had them in several dishes but I’ve never been able to find them in my small town. However, my local market has been getting different produce and a better variety so I had high hopes this year. Turns out I was right to have high hopes because when I walked in last week they had a ton of Meyer Lemons! So what’s the big deal about Meyer Lemons? It’s really a cross between a traditional lemon and a mandarin orange. They are smaller then regular lemons and have a dark yellow to orange color. The insides have a dark yellow pulp instead of the light yellow pulp regular lemons have. The last major different is the Meyer Lemons are much sweeter then traditional lemons which makes them a great choice to brighten up salads. Once I had a bag of these lovelies in my cart I started thinking of all the delicious things I could make with them. I remembered looking at a Meyer Lemon Panna Cotta recipe and decided to start with that. 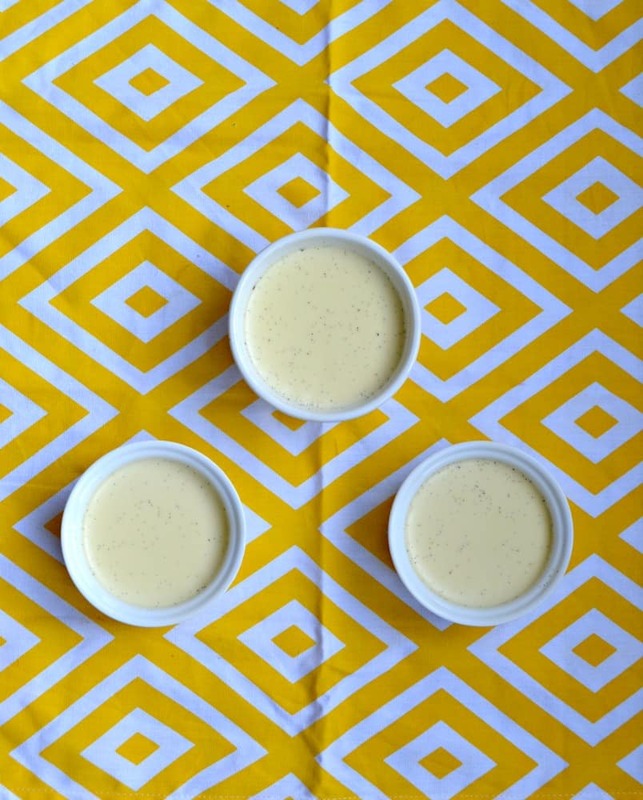 The panna cotta is rich and silky and the Meyer Lemon marmalade on top is sweet and tart. It’s a perfect match for dessert and for this weeks Sunday Supper which is all about Easy Spring Recipes. I’ve never made panna cotta before. As I was making it my husband kept calling it flan. I tried to tell him that it was a totally different dessert but he still called it flan. The panna cotta was easy to make. It’s basically an Italian custard so it’s made with milk and eggs on a stove then poured into individual molds and refrigerated to firm up. After the panna cottas were in the refrigerator I started on the Meyer Lemon Marmalade. It’s a simple combination of Meyer lemon zest, juice, and sugar. It gets pretty thick on the stove and then it needs to be refrigerated as well. Once everything was cooled I poured the marmalade on top of the panna cotta and it was time for dessert! I absolutely loved the combination of the silky vanilla panna cotta with the sweet and tart Meyer Lemon marmalade. Not only do they compliment each other nicely, it makes for a really pretty dessert. The marmalade is a gorgeous yellow color and really is the star of this dish. 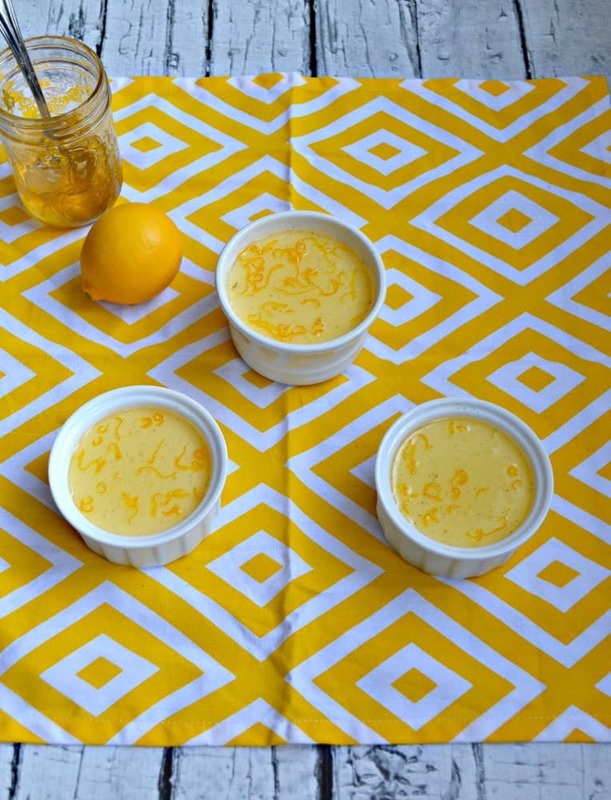 A delicious Vanilla Bean Panna Cotta topped with a sweet and tart Meyer Lemon marmalade. To make the panna cotta pour ⅓ cup of milk into a medium bowl and sprinkle with the gelatin. Allow to soften for 10 minutes. Meanwhile, combine the cream, sugar, remaining milk, and lemon peal in a large saucepan. Cut the vanilla bean in half lengthwise and add to the pan. Bring the cream mixture to a simmer over medium heat and whisk until the sugar dissolves. Remove from heat and let steep for 10 minutes. Bring the cream mixture to a simmer and add in the gelatin mixture. Stir until dissolved. Remove from heat and remove the vanilla bean and lemon peel. 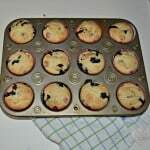 Divide the cream mixture among 4 ramekins and chill, uncovered, until set. This will take at least 4 hours. To make the marmalade combine the lemon zest, lemon juice, and sugar in a small saucepan. Bring to a boil, stirring occasionally, and boil for 10 minutes or until mixture thickens and reaches 220 degrees. Remove from heat and transfer to a small lidded glass jar. Refrigerate for at least 2 hours. To serve spoon the marmalade over top of the panna cotta and serve with a spoon. 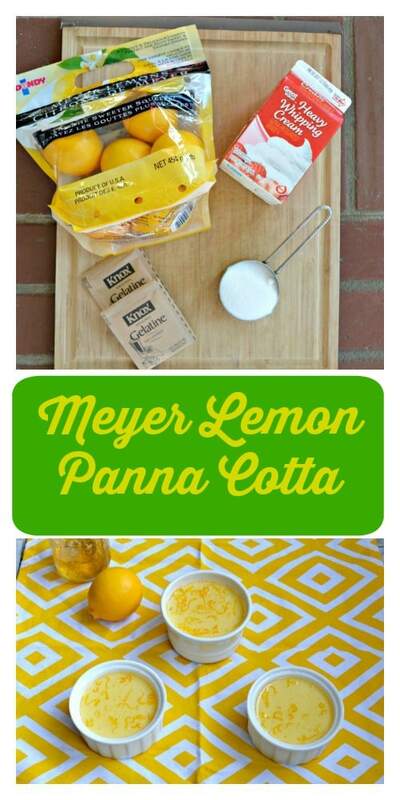 Hi Heather Lynne, Great idea using Myer Lemons in your panna cotta. I just preserved a bag of meyer lemons in mason jars, which reminds me, I need to turn them over. 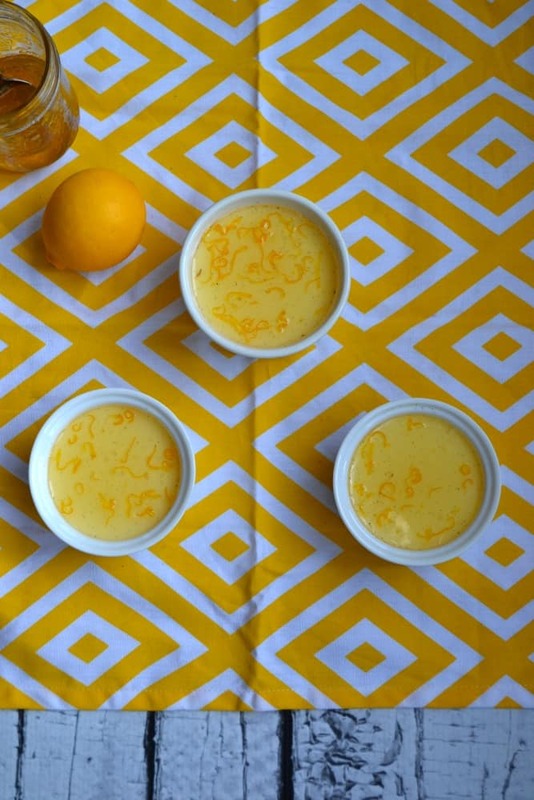 Anyway, there’s nothing better than soft citrus custard in the spring. Oooh! I didn’t think about preserving them. What a great idea! What a delicious idea Heather Lynne, Meyer lemons are always a treat around here, I have a small lemon tree and it is wonderful but not Meyer lemon wonderful. Your custard looks like it turned out perfectly, love the color. I’d love to have a lemon tree! That would be amazing! I’ve just started really enjoying custards, so I’ve never actually made panna cotta either. 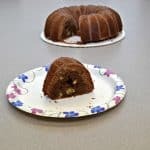 Now that I enjoy these sorts of desserts, I’m going to have to give it a try. It sounds so easy to make, and super easy to customize to taste. I have never had Meyer Lemons but I sure would love to try some of that jam on these panna cottas. This looks so luscious! 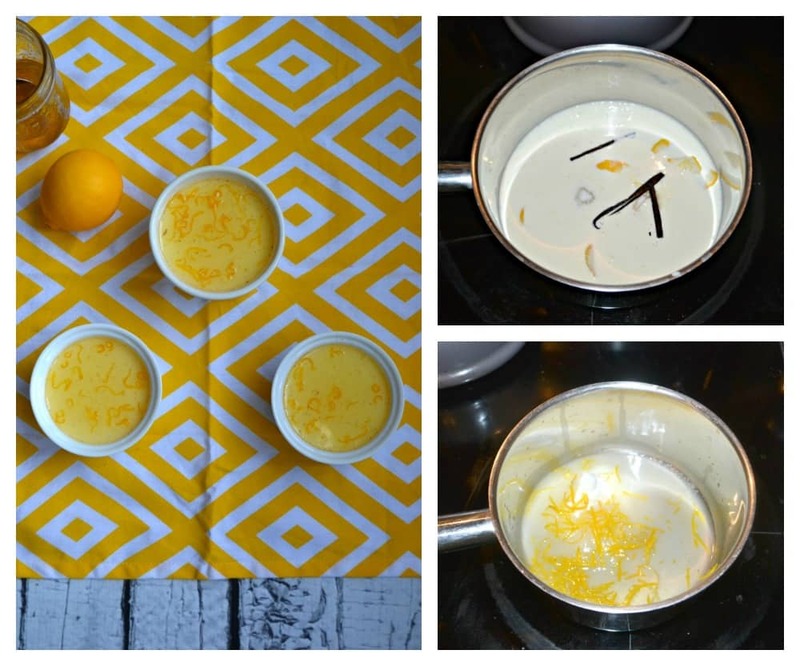 I am a fan of both panna cotta and Meyer lemons. I love anything lemon! This looks so luscious! 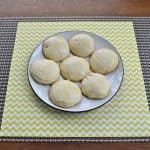 Besides chocolate, lemon is a favorite dessert flavor at our house! Your panna cotta would be a huge hit! I’ve been seeing Meyer lemons more this year too, it seems. This sounds delicious, combines two favorites! I adore lemon and your pictures are so pretty and spring-like! I want this for my mother’s day brunch~yum! You had me at Meyer lemon! This sounds delicious! I’ve not made panna cotta. Your recipe with that marmalade is lovely!